Part I depicts the gritty realities of a seven-week workers’ strike at a small Indiana chain manufacturing plant. Volatile union meetings and tension-filled interactions on the picket line provide an insider view of the stresses and conflicts inherent in a democratic union. 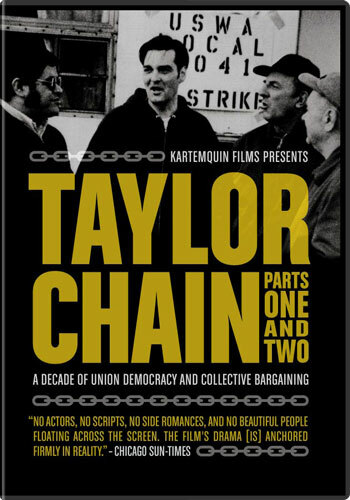 In Part II, The filmmakers return to the Taylor Chain plant ten years later, in the middle of a recession, to capture the collective bargaining process. Amid anti-union legislation, global competition, and increasing pressure on both sides, labor and management must work together – against great odds – to save the plant.